Do I have to transfer to Gov. Thomas Johnson High School? No. However, the option is available to transfer to TJ full-time. You would still have to provide your own transportation both ways. Is transportation provided to and from Gov. Thomas Johnson High School? ​Currently, transportation is provided from TJ to your home school. You will be responsible for providing your own transportation to TJ in the morning. Will I still get to participate in my home school’s ensemble/performances? Yes. We require you to do so at some level. Your academy teacher can help you decide what might be right for you. Will I be able to fit in all of my graduation requirements? Will I just sing, dance and color all day? Your courses will be college level while developing student expression and creativity. Can I start second semester? Can I begin the AFA program as a freshman? 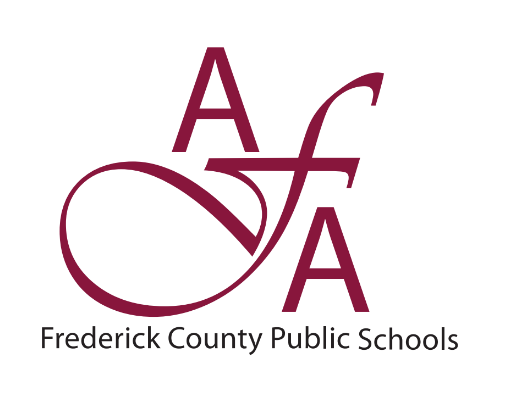 All FCPS students who have completed a level one fine arts graduation credit may apply. You may apply at any time. However, you will have to participate in scheduled audition times. There is no admission or tuition cost but you are responsible for any personal equipment or materials for your discipline. The academy follows the same guidelines as other FCPS arts courses. What if I don’t want to major in the arts in college? That’s OK. We are preparing you for any career using the arts as a tool for success. Do I need to be concerned about safety at TJ High School? GTJHS is a safe school. Students from all ten high schools are a part of our student body as a result of our signature programs. We have a very diverse student body that prides itself on acceptance and support. Conflict of all types is handled quickly and proactively to ensure that our entire school community’s expectation of safety is always evident. Our school expectation for everyone is that Patriots are respectful, responsible, and ready to learn.